Feel free to distribute this poster through your own social media channels. The full awards procedure will be published later. 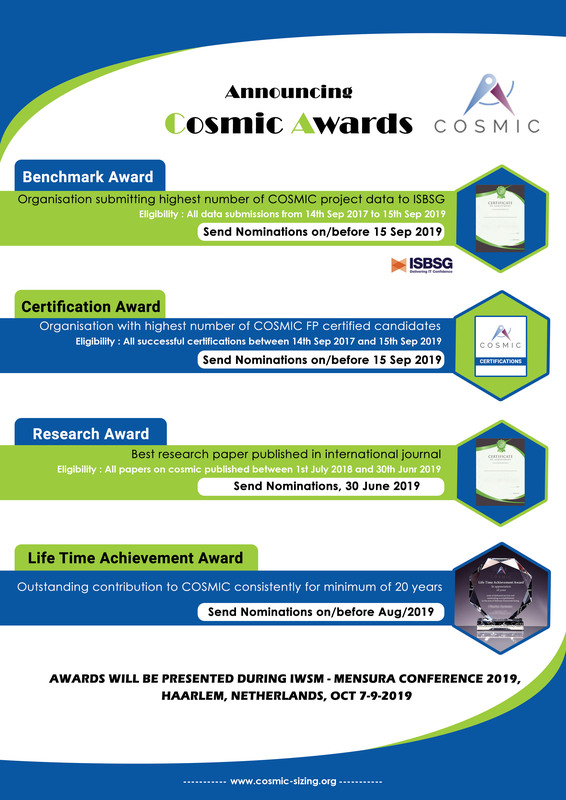 The best research papers on COSMIC – published between July 1, 2018 and June 30, 2019 are eligible for the COSMIC research award. 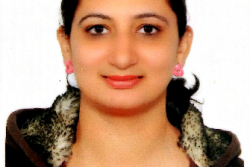 Please send in your nominations on or before June 30. The organization with the highest number of projects submitted to the ISBSG database is eligible for the COSMIC benchmarking award. Please send in your nominations on or before September 15. The organization with the highest number of certified professionals in the COSMIC method is eligible for the certification award. Please send in your nominations on or before September 15. All the awards are presented at the IWSM Mensura conference, October 7-9 in Haarlem, the Netherlands.